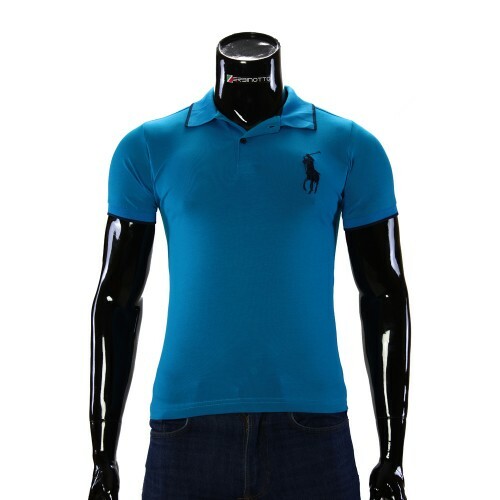 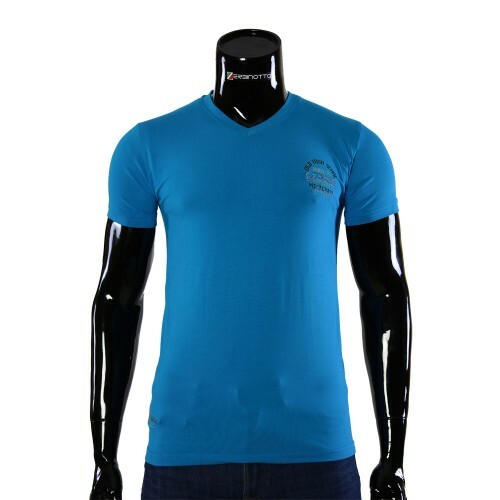 Men's Blue T-shirt ARM 1150-8. Buy a t-shirt at reasonable price. 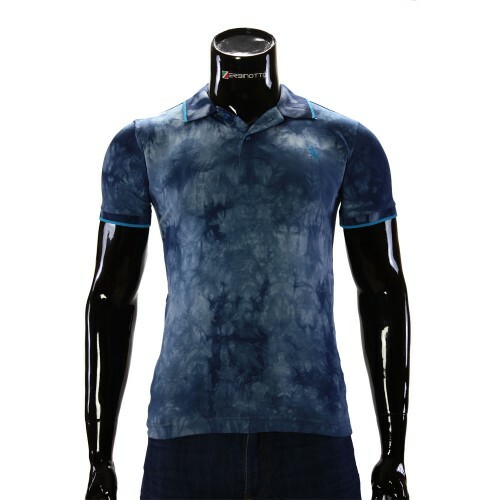 Blue men's t-shirt made from 95% cotton and 5% elastane. A t-shirt is made in one color with contrasting inserts on the collar. 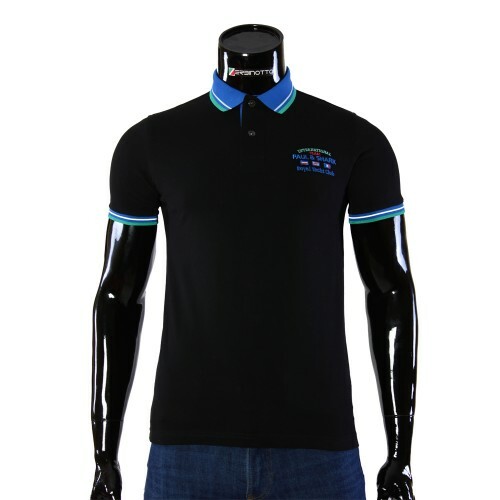 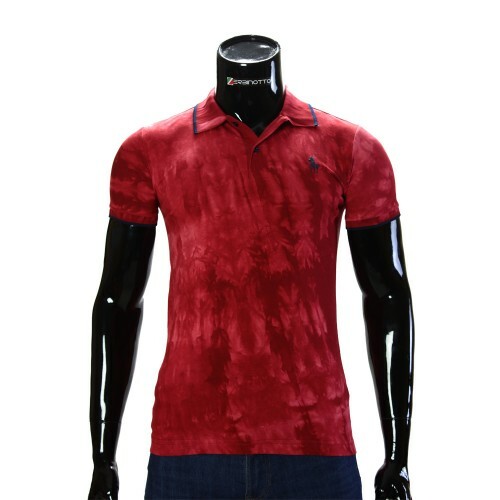 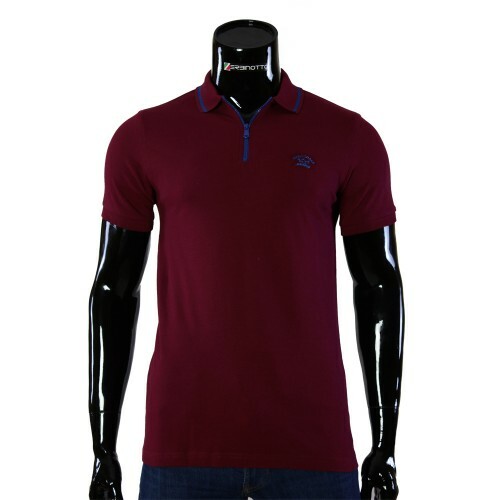 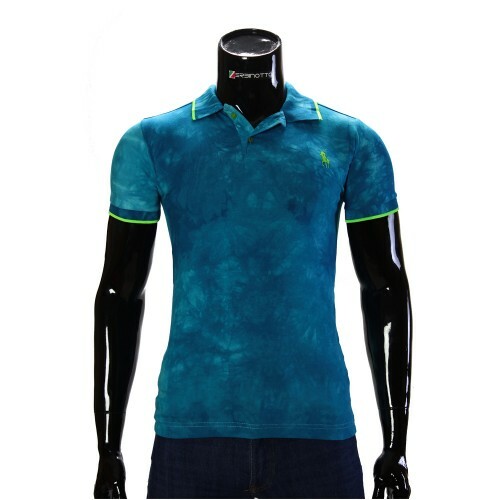 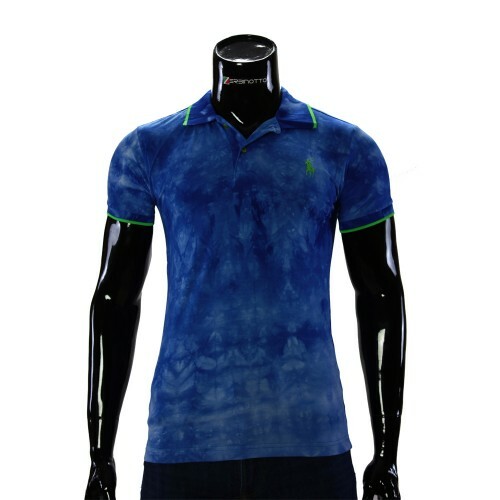 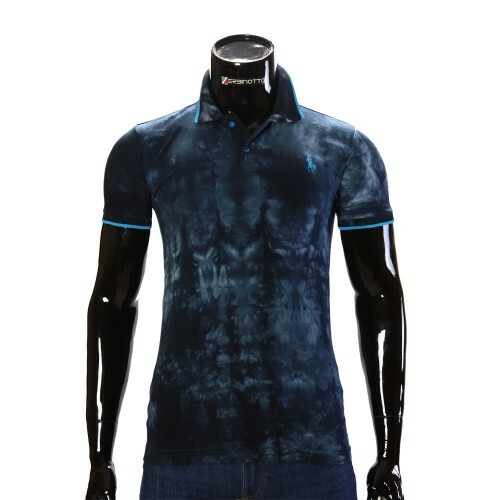 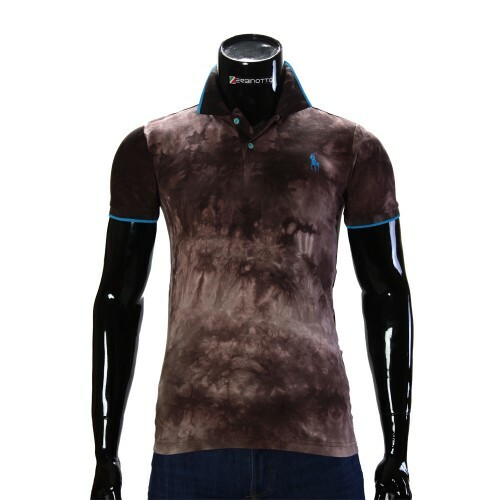 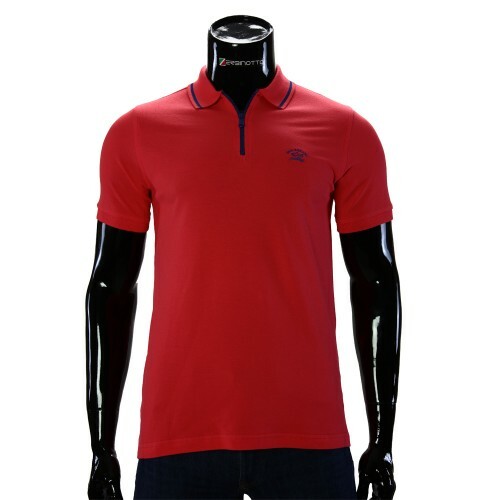 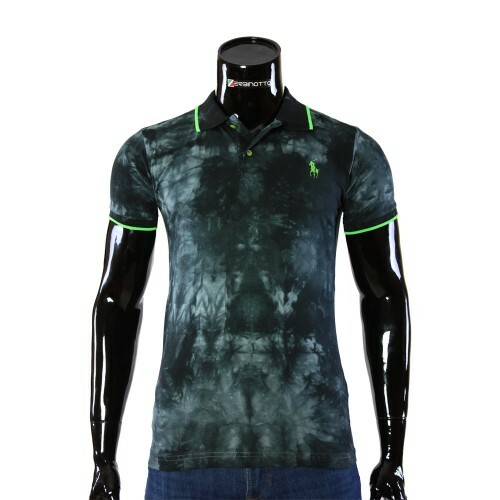 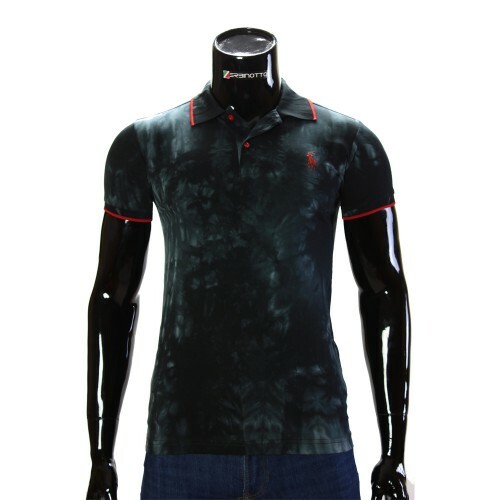 The manufacturer introduced this model of men's t-shirts, using such strokes as a contrasting V-collar. 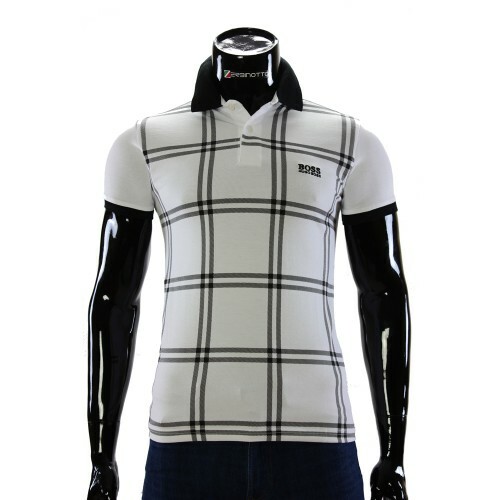 The sleeve is made in the style of fitting on the arm. 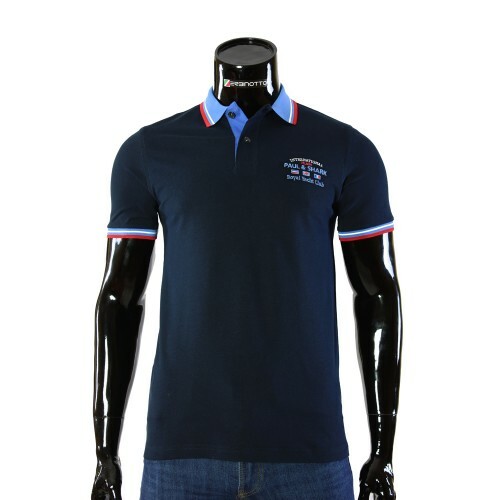 Excellent choice of this model T-shirts for hot summer days. 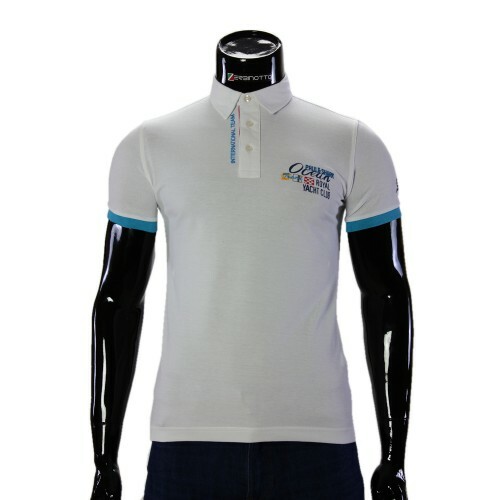 T-shirt is an excellent option for both casual walks and for sports. 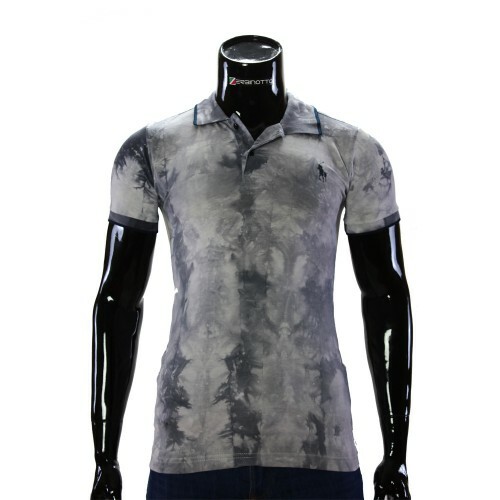 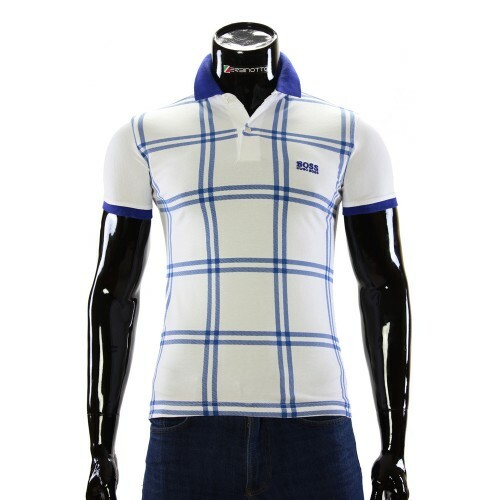 For true connoisseurs of shirts and T-shirts in the style of Casual.